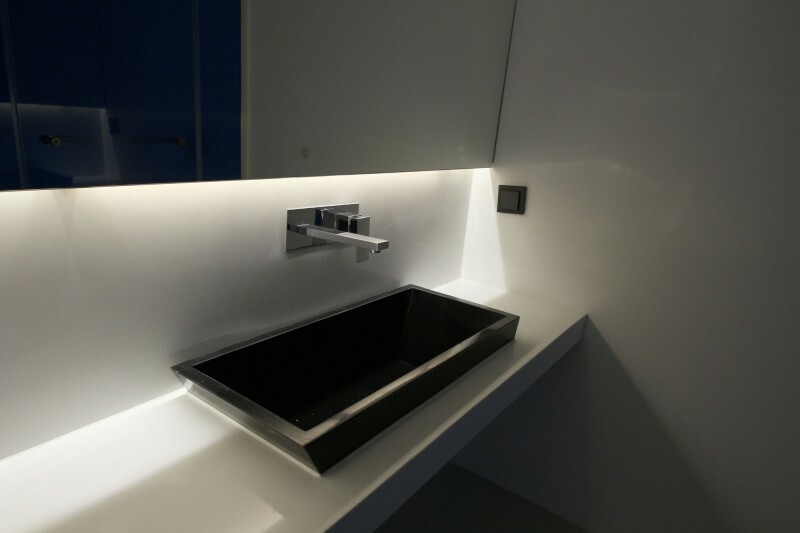 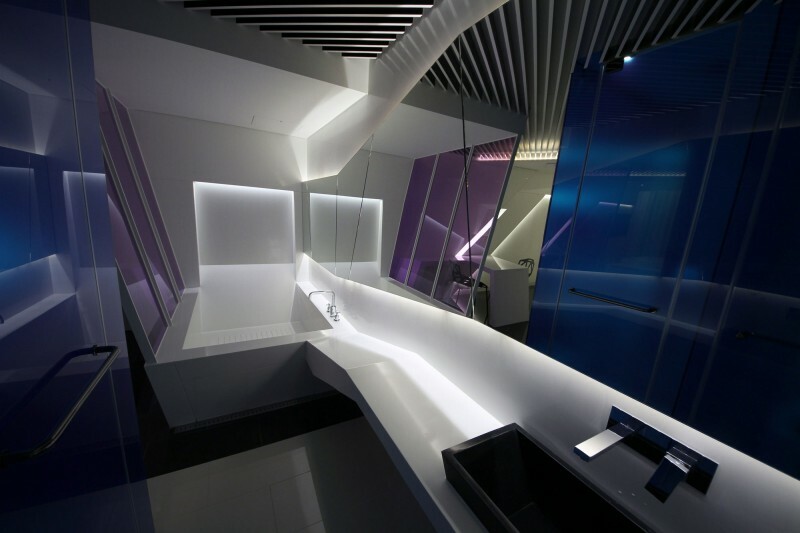 Pure Crystal is a unique project completed by Seungmo Lim. 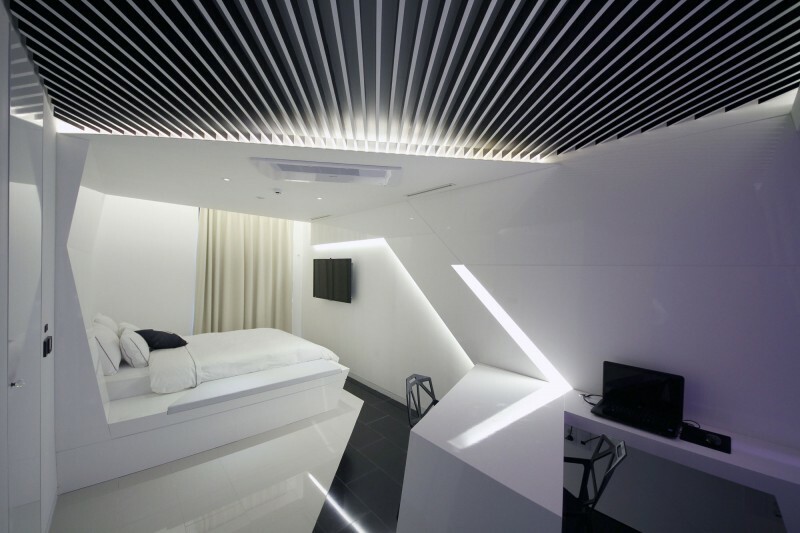 It was completed in 2013 for the Boutique Hotel, located in Jongno-Gu, Seoul, South Korea. 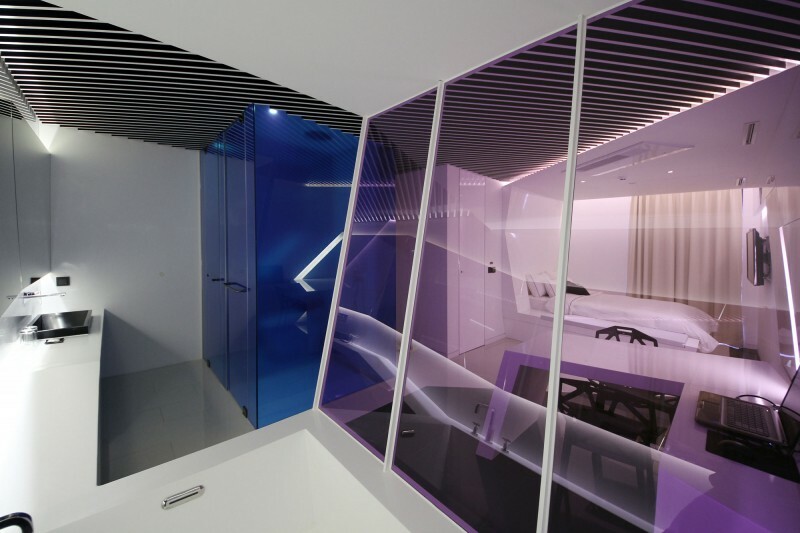 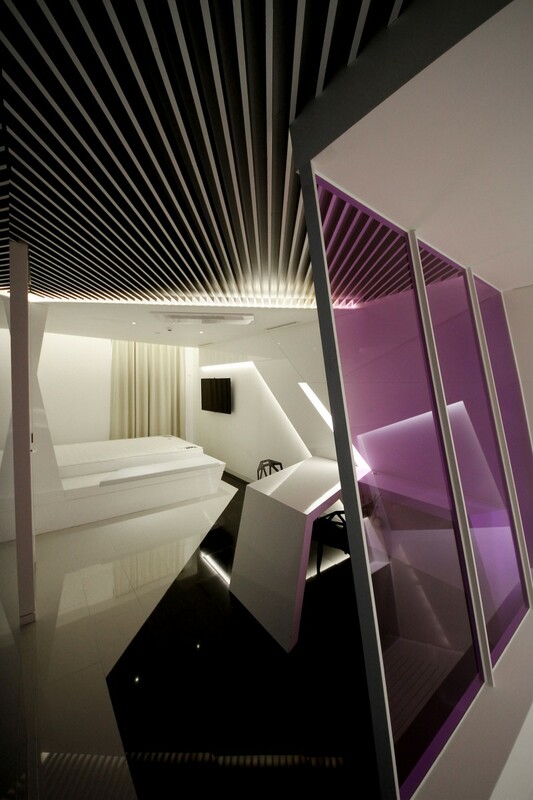 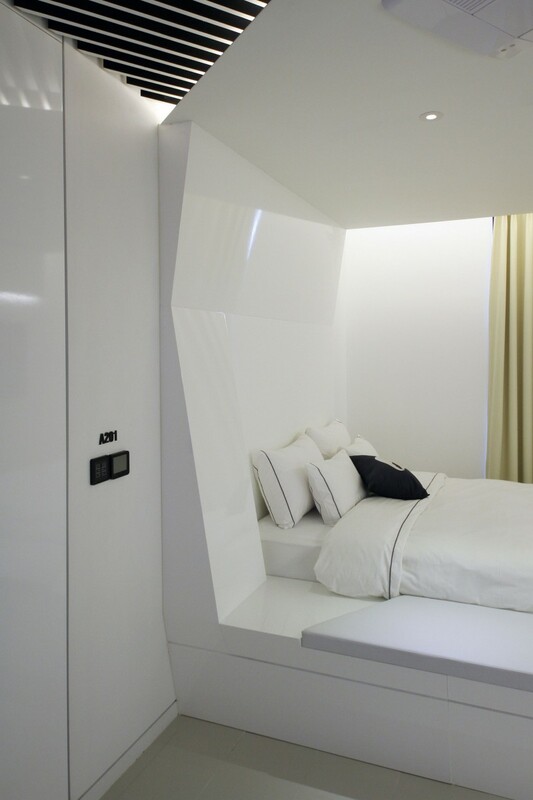 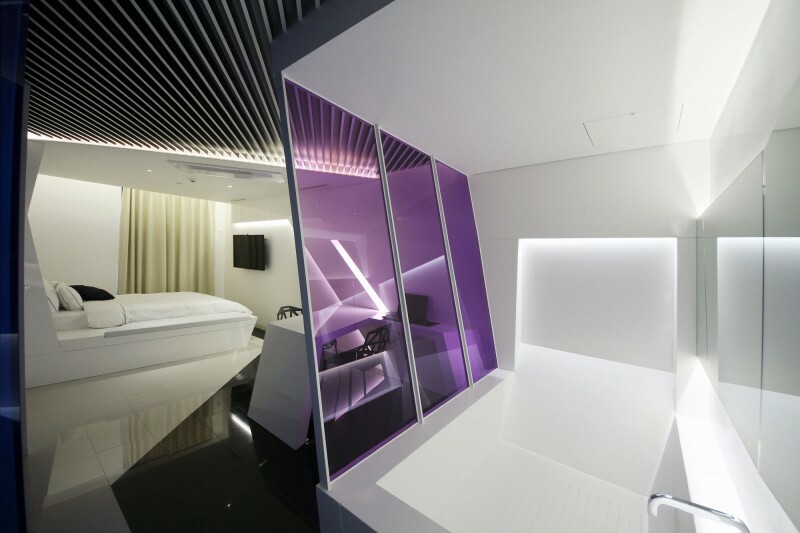 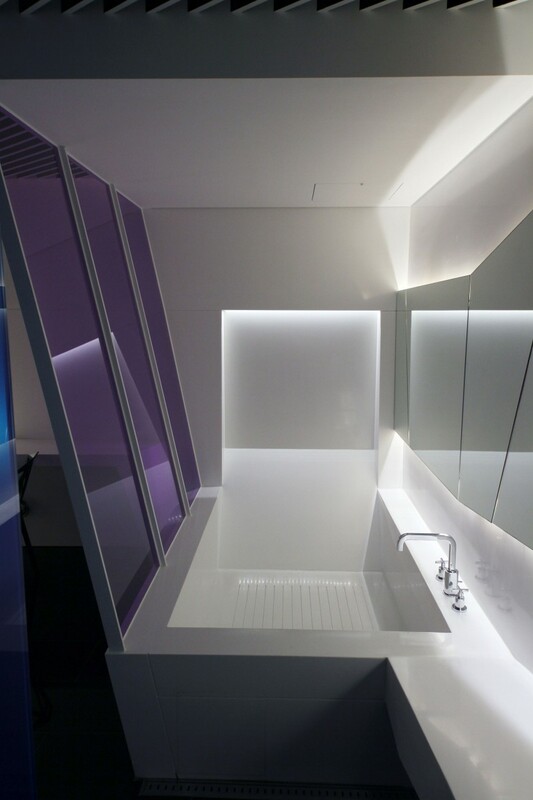 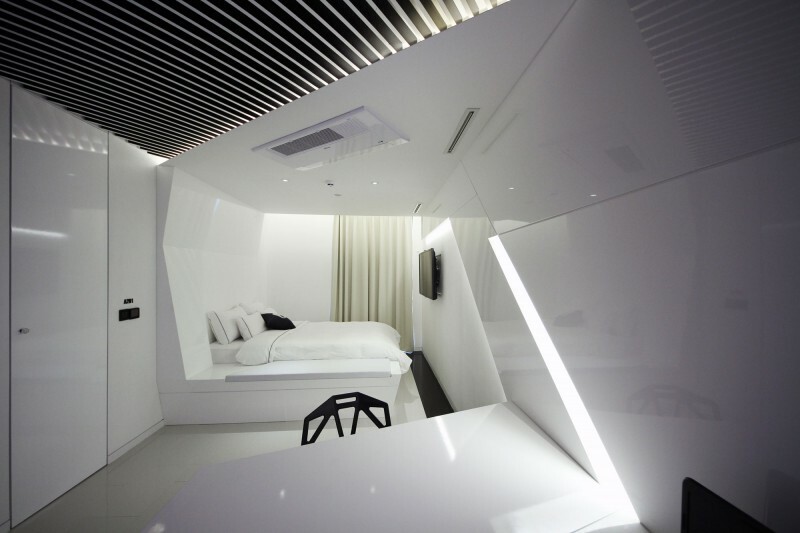 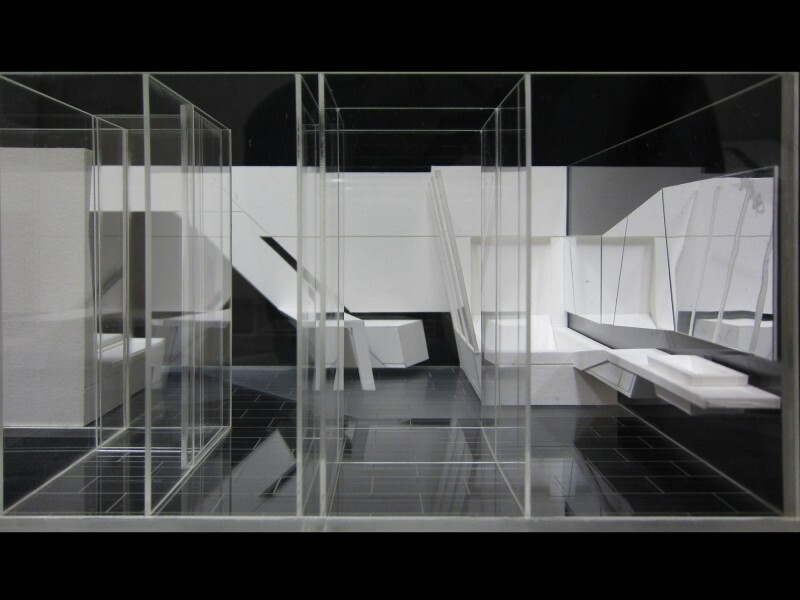 “Pure Crystal is a special room of Boutique Hotel the Designers in Jongno, Seoul. 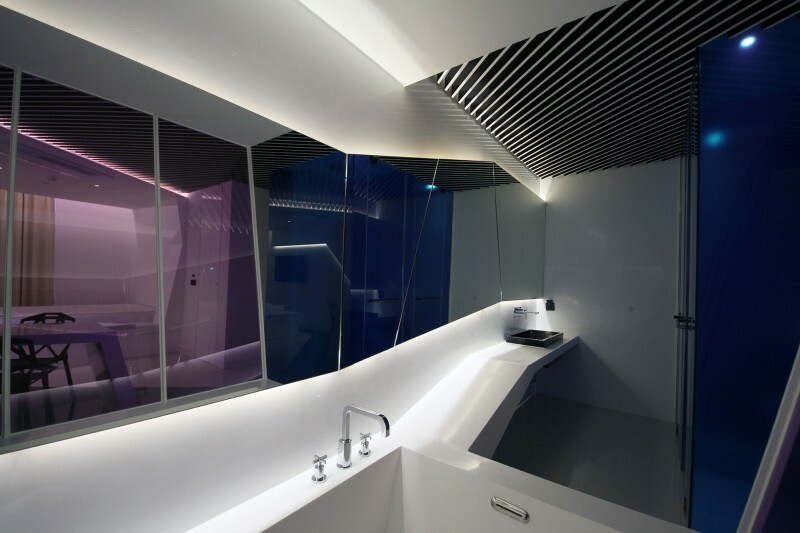 Pure Crystal is a room filled with sparkling glow and delicate texture of crystal. 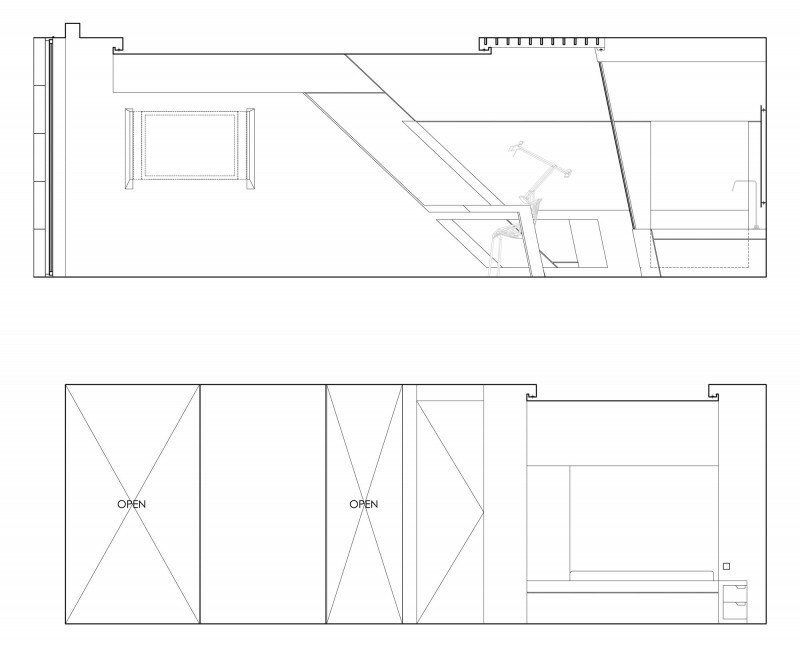 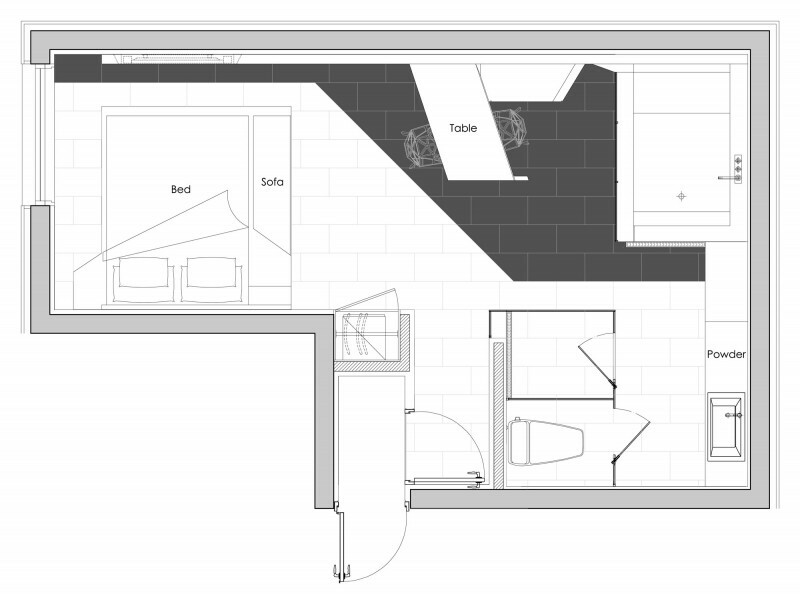 Continued smooth surface and edge of furnishings and walls amplifies the “flexibility” of the 31m2 (334ft2) space. 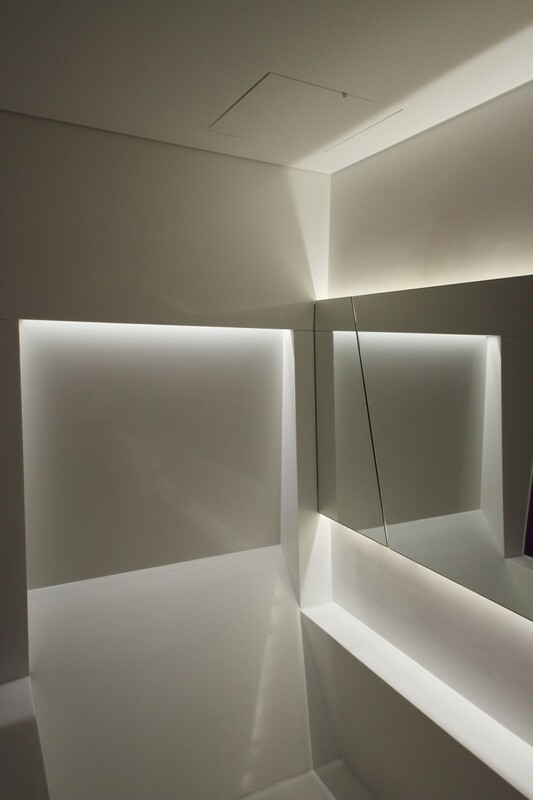 Projections of furnishings on walls imbued with light make boundary vague and expand the dimension to grant a unique experience to the guests. 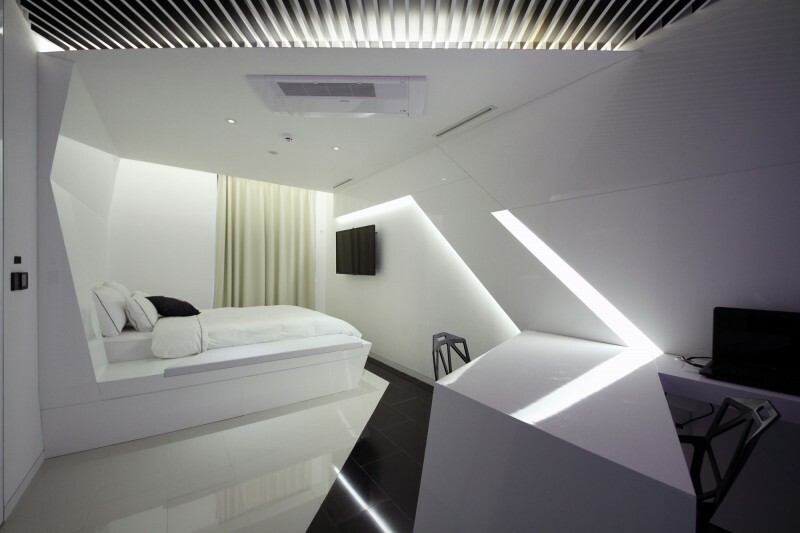 On an L-shaped surface, multiple furnishings including bed, sofa, table, and bathroom fixtures are arranged as a single set of body. 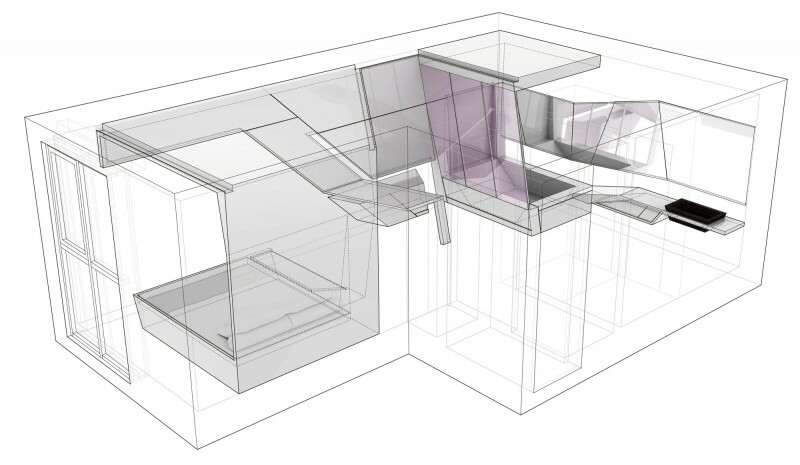 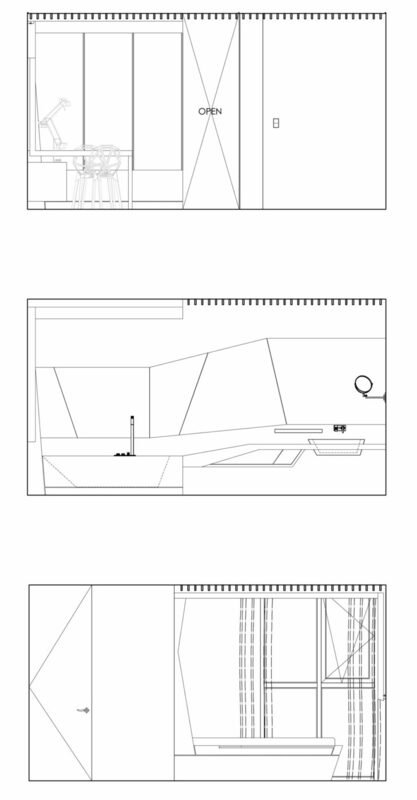 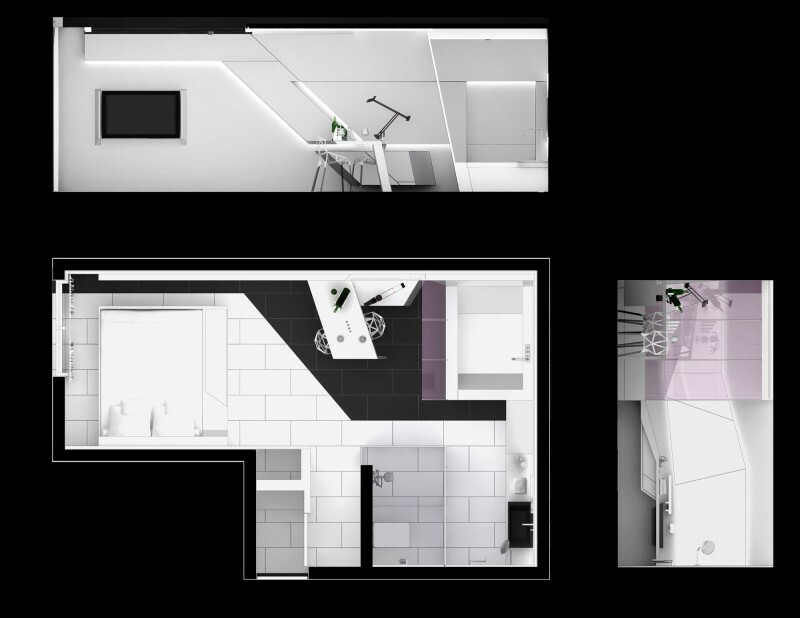 The pink-colored bath tub is located between bedroom and bathroom to perform as an objet which connects the two places, but also determines each space at the same time.